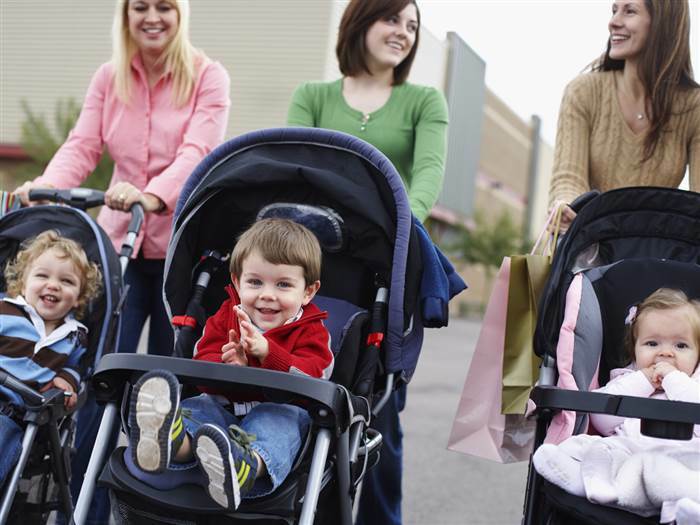 I used to feel a pang of jealousy when I saw other moms walking together as I walked the girls alone in our neighborhood. Where did they meet? How did they get brave enough to become friends? In our old neighborhood, the moms I met weren’t interested in stopping to chat, let alone become friends. I have some wonderful friends who live upwards of 25 minutes away, but I wanted to find someone who could be my walking buddy, my borrow-a-cup-of-sugar mom neighbor. It’s taken me a year, a cross-town move and some bravery to find some new mom friends– but I am so glad I have, and I want to share how so you can find them, too. Meetup.com: Does it sound creepy? Like a Craigslist for friends? I thought so too, but this is where we’ve found a big community of (perfectly safe & normal) moms with kids of similar ages. So far we’ve done walks at parks, met for coffee, done crafts together at the library, and had mom’s night out. Yes please! The library: Every branch of our local library has kids’ activities, especially during the summer. Some days there’s singing & stories, some days there are crafts. Some days we just go read books and play with the puzzles, and the unstructured time gives me a chance to chat with other moms in the kids’ reading room. The park: This one takes some courage, so lace up your big girl shoes and go talk to strangers. I’m not very good at it, but in our new neighborhood, the park is full of strollers and opportunities to stop and say hi. It sounds obvious, but I used to go and just hope someone would want to be my friend, then be disappointed when no one made the effort to connect. Now I take the initiative and talk to them. I just made a new twin mom friend this way, and I’m so excited! Soft playrooms: Our local recreation center has a soft playroom where I can let the girls loose to jump, slide and climb. Parents aren’t allowed on the equipment, so it’s an easy choice to sit and talk to the other moms. Kids’ gyms like The Little Gym and Gymboree have free intro classes and open playtimes, too, without having to sign up for their weekly classes. How have you met other moms? Has it been easier or harder than you expected?